It’s been 25 degrees here in Huddersfield today without a single cloud in the sky. I’ve popped inside to write this as it’s started to cool down but I’ll need to nip back into the garden to water the plants so I’ll be brief. 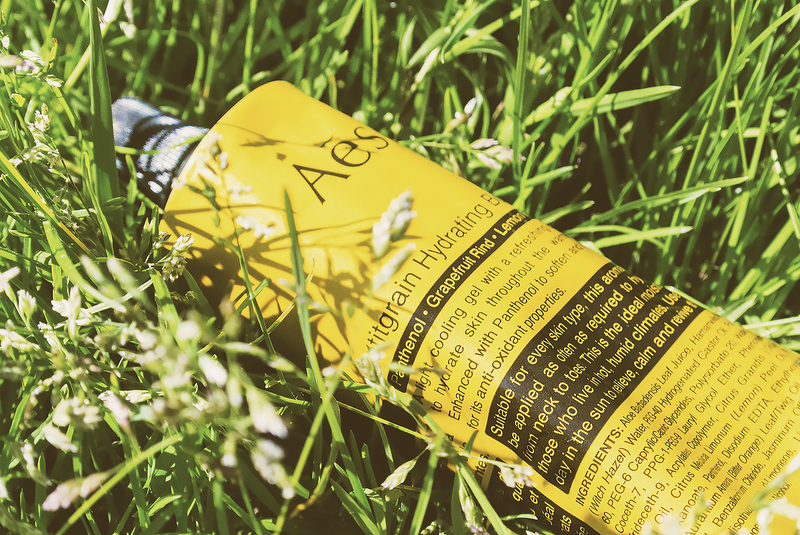 I’ve kept from frazzling in the sun today with the aid of my lovely new tube of Aesop Petitgrain Hydrating Body Gel. Now it doesn’t have an SPF, but it’s a clear-gel moisturiser that locks in hydration and helps prevent the sun’s rays from drying your skin out. With a base of aloe leaf juice, Aesop Petitgrain Hydrating Body Gel is packed with witch hazel; grapefruit peel oil; lemon peel oil; bitter orange twig oil and jasmine oil. The scent is a manly, citrus burst that’s more planty than flowery/fruity (best way I could think to describe it). It sinks in relatively quickly and you think it’s not going to sink in for the first few seconds and then all of a sudden *shloop* it disappears into the skin. You’re left really smooth. It won’t congest pores and make the skin feel claggy and full of product; quite the opposite. Aesop Petitgrain Hydrating Body Gel is available here in a 125ml tube (pictured) for £25 or half a litre for just £69. This’ll definitely be in suitcase this summer. This article first appeared on MANFACE written by Thom Watson. It was published on Saturday 17th May 2014 and was last updated on Monday 3rd April 2017 at 2:03pm. It's categorised under Aesop, Body, Moisturise where you'll find more related content. That sounds amazing, I really want to check this out IRL. I had been looking for a new body moisturizer anyways. Hey Ray. Thanks for the comment! You really should check this out. I have such a hard time with body moisturisers as my pores block up so easily, yet my skin still dries out. This is definitely the perfect solution.